The CRM events that grabbed the industry's attention during May 2012 included SugarCRM's SugarCon, SAP Sapphire Now, Marketo's Summit and the kick-off of CRM Idol's second season. Here's my take-away for each of these events, and some musings about how these events shape the industry. 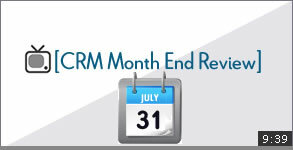 Check back on the last of June for the next month's video CRM recap.